Gear up the kids, parents, neighbors and friends for your upcoming Autism Walk with one of our Best Selling Autism Gear designs. A spring or summer walking event lends itself naturally to creating a team shirt, apparel or gear everyone can display with pride. Make the event fun, get your team prepared and ready to go prior to the walk this make the transition and adjustment during the actual Autism Walk a smooth and less stressful time. MyWalkGear.com has additional Autism Awareness Gear and unique Awareness Keepsakes and gifts. 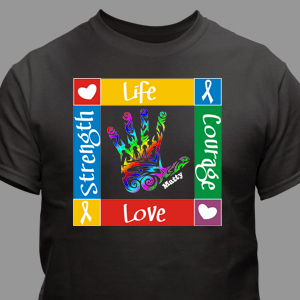 You can find these great products in our Autism Awareness Shirts & Walk Gear section. We are here to help make your next event one to cherish forever. A Great Tip for Parents of Autism from AutismSpeaks.org. "Learn to be the best advocate you can be for your child. Be informed. Take advantage of all the services that are available to you in your community." Learn more by visiting www.autismspeaks.org today. They are there with many more great tips, tools and assistance to guide you and your family.